COMMENTS: For some reason I thought it would be larger but I love the size now and how it fits the tubes to well. Easy to construct too. COMMENTS: This looks great holding my lip balm tubes. Especially if they are colorful! Classy look. COMMENTS: This little boxes provide an orderly and professional look to my lip balm display. COMMENTS: They’re okay, the only thing that is not included are the separators to stand the lippies right side up in columns. These would be great for a single product, but multiple flavors/scents will get lost in the bottom and makes it awkward when selling at an event, and they aren’t easy to see. COMMENTS: These storage/display boxes worked perfectly when I needed something for lip balms in a hurry, and that would be light weight and not take up much space. They are basic, but work great and are easy to set up. With a little time on the computer, these could be dressed up with nice labels/stickers to blend with the overall display. COMMENTS: great box for display & storage!! COMMENTS: Love the look, so professional looking, easy to assemble....love it for showcasing my products in the stores. COMMENTS: These go together easily and are very pretty display boxes for lip balms. "Lip Tube Arched Display Box - white"
COMMENTS: these are very easy to use and make it easy for customers to find and grab your product(s) Well worth having a few around for wherever you want to sell/display your lip balms or solid perfumes. would like to find more just like them that are thicker/sturdier for traveling to shows but these work very very well at shows and at shop booths - barber shops, beauty parlors, etc. Will order again. COMMENTS: Perfect size! Easy to use! Love these! COMMENTS: These are perfect for me! They match my branding beautifully. I love these and plan to continue buying these for as long as I can! I sell wholesale, so these are an easy way for me to provide my buyers with a cute, functional display. COMMENTS: These are study displays and easy to put together. Some customers had trouble getting the chapsticks out of the box. Maybe a bit more room on the side would help? The kids could grab there flavors fast. "Should have gotten more! " COMMENTS: Adorable box. At first I thought it was a bit small, but it'll hold around 18 regular lip balm tubes. Should have gotten more and I will in the future! COMMENTS: These little boxes are an excellent way to display your lip balms. I use then for the oval lip balms but they also hold the round ones just as well. They are very convenient when going to shows and markets, you just close the box and off you go. I currently have eight for my different balms, they are so affordable Im tempted to get more just to have an excuse for more lip balm flavors. COMMENTS: I used these to display my lotion bars, which I put in the 2 ounce tins. By putting the tins in vertically, customers could still read the scent on the label, so there was no need to label the boxes. I also used them for some of the products that were in small pots and lotion tubes. The boxes were very quick and easy to assemble. These held 4 tins, vertically, and helped to keep my display neat and organized. The white boxes contrasted nicely with my purple table covers. They also made for quick and easy set up and take down. 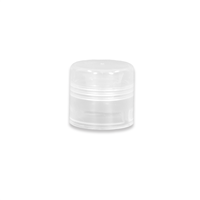 "Lip Tube Arched Display Box"
COMMENTS: Lip Tube Arched Display Box are great for holding lip balms. Looks good on my table with a company header. COMMENTS: I use these for my lip balms, eye serum, and roll on perfumes. A 2" round label fits perfect in the arch. COMMENTS: This product is great for the price point. It's fairly easy to assemble and keeps lip balms organized and contained. It's a little smaller than I expected, but does a great job. COMMENTS: Great little boxes for 12 lip balms, wish they sold the wire rack they go in. COMMENTS: Even though theses are meant for the round lip tubes I use these to put my oval lip balm tubes in for transporting and displaying. They work just fine! COMMENTS: I use the white display boxes to keep my salves separate from my lip balms, so that the customer sees something different! COMMENTS: These are great for displaying lip balms. Would be nice if they were a bit more sturdy. COMMENTS: I ordered a set of these and could not be happier! So easy to put together and solves the big problem of how to display my lip balms at shops and craft fairs. They may look small but hold a lot of tubes, keeping them clean and orderly. I will be ordering MORE! Thank you for this great and reasonably priced box. "This little box was the perfect for lip balms"
COMMENTS: I used these boxes for my lip balm displays and then put a label on the top front. It was perfect and did not take up a lot of space on my table. COMMENTS: These are great little boxes. I gave 4 stars due to size. Was thinking they would be a tad bigger but are great for displaying roll on bottles, lip tubes or even tea. COMMENTS: This product matches the description exactly and suits my needs. It is a little weak, but works for a vendor event or two, and the blank white color makes it easy to label. Will likely order more. COMMENTS: These are perfect for my lip balms and solid perfumes. It can hold both the oval and round tubes easily. COMMENTS: Great little display boxes...I love that they store flat, easy to assemble, and look great filled with product! COMMENTS: I just smile when I think of this product. I didn't know what to expect when I bought this. I was invited to do a Christmas party and they ask me to bring all my products. So, I bought one of these to place my lip balms for display and they are so cute, made my products looked so professional, and I was proud and happy that I bought this product just wished I had bought more. COMMENTS: I bought these to display my lip balms at a craft show and they were great. COMMENTS: Perfect boxes for storing and Displaying your Lip Balms. COMMENTS: I customized my display with a 2" round label and it looks great! Easy to assemble and works like a charm in the store! COMMENTS: I use this to display my lip balms. COMMENTS: You can't beat the price on this cute little display box. I use one to hold my "tester" lip balms at shows, and it does the job perfectly. "Lip Tube Arched Display Box - (WHITE COLOR) "
COMMENTS: This is a very nice and professional looking box for the tubes and pods. I really like the sturdy construction and will definitely be buying more. Thank you for a great product! COMMENTS: A handy little display. Bought a few of them. This has made display simple! 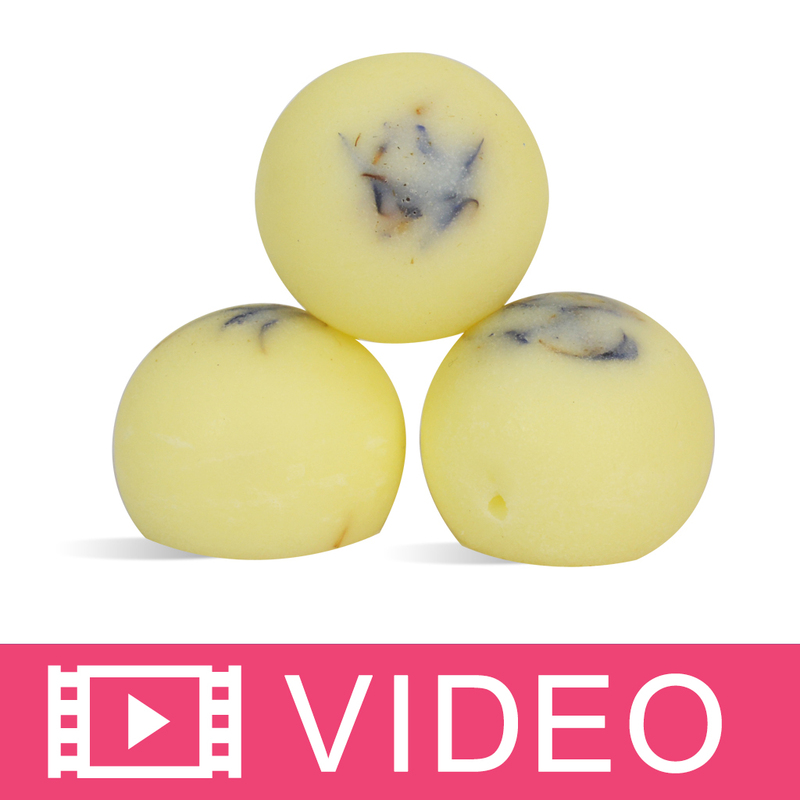 COMMENTS: These are perfect for lip balms! They last forever, even with lots of handling! "keeps my lip tubes from rolling away"
COMMENTS: Love it and price is fair, also has room to put my own label on it. COMMENTS: not a large box but very pro looking for display and a few votives, lip balm, small organza bags of herbs and small self standing foil packs of salts. not hard to print a colorful pos label and glue it up. COMMENTS: Love these! I am going to use them for an upcoming craft fair. COMMENTS: I like these little boxes. I did order white and was sent the brown but I love how well they show the lip balms off. The pop up top is great for labeling. COMMENTS: This was a bit smaller then I expected, it fits fabulously in my hand, but it is perfect for my needs. This little box is a great way to contain small things on a table, ie. lip balm, solid perfume tubes or pots. I plan on using this display box to hold 10 gram jars, .5 oz tins and clay fairy garden figures as well as standard lip balm tubes. I can probably find lots of things to go in these boxes, going to order a bunch of them. It did arrive flat, with no assembly instructions, but is very easy to figure out what folds and tucks where. I also love that I can pre load this and close it up to transport items. That will make set up and take down a bit faster! COMMENTS: Easy to set up, affordable. It's more suitable for circular lip balm tubes however, oval tubes don't stack properly (but still usable). COMMENTS: This box made my lip balms looks so professional. Love it! COMMENTS: This little box is the perfect size for my lip balms. It has an area large enough for my label too! Arrived in perfect condition and easy to assemble. Thanks WSP! The price is perfect as well. • I would love to see this in colors. COMMENTS: These are perfect to display my lip balms. Love them! "A Fantastic Display and Packaging Option!" COMMENTS: I love, love, love the arched display boxes for lip balm tubes!! They're sturdy, professional-looking, and convenient to set up. I was able to create labels to customize the boxes for each flavor of lip balm. I will definitely order again! COMMENTS: These little boxes are so cute after you assemble them. I have some that hold my lip balms I make and they are very sturdy make for easy storage and display. I use the white ones for my flavored lip balms. COMMENTS: I love how cute these are, They are perfect for displaying lip balms making them look very professional and are also convenient to store the products in since they also fold to a closed box. COMMENTS: I really like the way my lip balms look in these boxes. They're perfect. COMMENTS: I love sticking my chapsticks in these. They easily fit 12 and it looks very nice and organized. COMMENTS: Perfect for displaying lip balms. Although cardboard they are not flimsy. The arch is easy to personalize using your label program. COMMENTS: This worked really well displaying my lip balms at craft shows. COMMENTS: These displays are awesome!!! Easy to fold, I also use with this the gold seal that says handcrafted and a label of the lip balm. It makes a great display and definitely will be buying more. 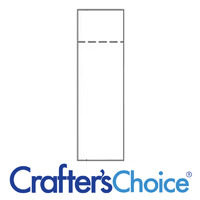 "Perfect for my Lip Balm Tubes"
COMMENTS: This is a great little product for the price. 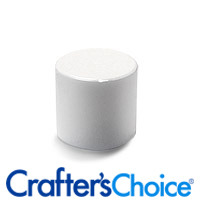 Great for craft shows and small enough that it doesn't take up a lot of room plus travels well because the box closes. Exactly what i was looking for. "I love these little display boxes!" COMMENTS: These are the perfect little display boxes for my lip balms. I will be ordering more to use for my solid perfumes soon. COMMENTS: Love to use it in my craft fair and markets to display my lip balms!!! COMMENTS: I like this little box, very easy to put together and considering is pretty good quality for the price. This helps keep my lip balms organized nicely. COMMENTS: This is a great little box to display lip balms. COMMENTS: I bought this to hold all my lip balms at the salon, and I love it. Just the right size without being too small. 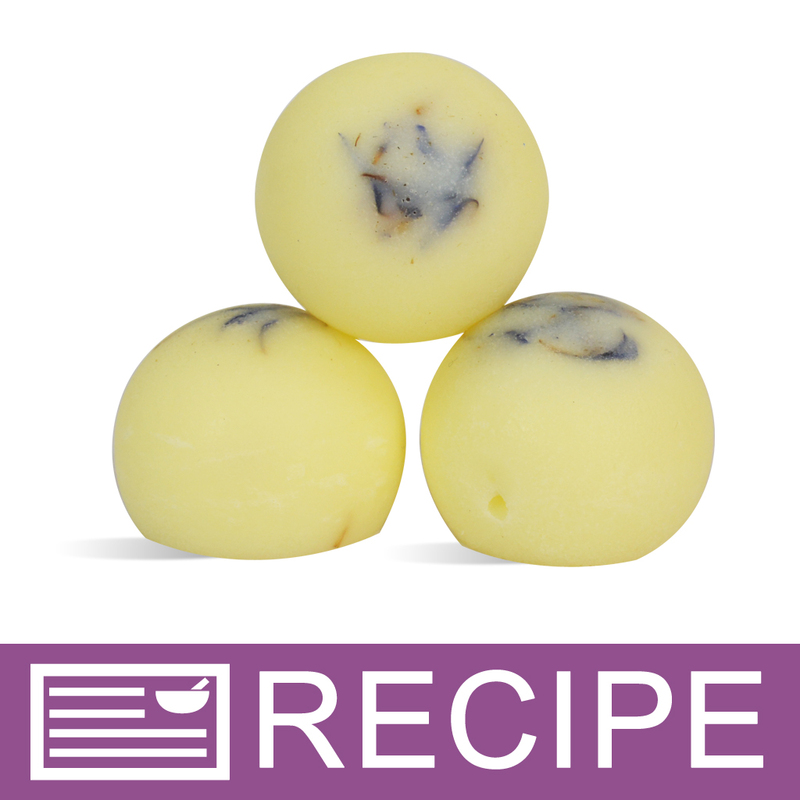 "Great for Lip Balms and Roll On Perfumes"
COMMENTS: These are great to use at craft shows / farmers' markets. I put my lip balms, and roll on perfume bottles in them. They fit 16 lip balms, which is a good number and I easily printed out onto a label each lip balm / perfume scent and stuck it on the top tab to make shopping easier for my customers. They hold up great but it was a bit of a challenge to set one up for the first time. I kept doing it wrong, but once you get 1 done the rest are easy. "Make your lip balm display look professional"
COMMENTS: I think these display boxes make my lip balms look more professional. It's a great way to organize your scents. I think the price is a little high but, I haven't found these at any other supply shop. "Just a simple white box:)"
COMMENTS: This is great to display lip products at events, on store shelves or in your own workshop. Love it and easy to put together. • Love to print directly on it. COMMENTS: Can't find these anywhere else especially for this price!! "from messy to professional in seconds!" COMMENTS: these little display boxes are a great buy! once i figured out how to assemble them they worked perfectly. stick your company name on the top and youve got an extremely fantastic display container that holds every type of lip balm tube WSP carries. i love these things! COMMENTS: Easy to assemble, and are the perfect size! Nice and neat when multiple are lined up. COMMENTS: Such a great inexpensive idea! Easy to assemble and I like that I can design them with my logo up top. Holds between 11 & 12 lip balm tubes. Thank you for offering so many odds and ends to help with our businesses! COMMENTS: These boxes make a great display on my table at shows and events. They are simple to use and sturdy. Also a great price! COMMENTS: These are great. I use them for my lip balms, lip scrubs, lip shimmers and cuticle creams. I also love that I just pull the top back up and over to close them, keeping the product all safe and tucked away. I use a circle avery label to label them. 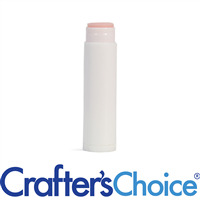 COMMENTS: Makes organizing different flavors of chap stick easy, and is ready to show off at craft fairs, with no prep needed. "Quick and easy beautiful presentation"
COMMENTS: These boxes are wonderful! I love having an affordable way to give a nice presentation option to retailers that carry our lip balms and solid perfume sticks. Makes a completely sealed box for shipping. The glossy white looks fabulous no matter what product is in it. COMMENTS: This lip balm display is perfect to showcase your product during trade shows. They are easy to decorate with logos and can be broken down easily and stored for future usage. A very cost friendly promotional item. "Great Display and Stock Unit"
COMMENTS: This is an excellent box for both displaying and stocking lip balms and lip tints. The slim tube (.07 ounce) and oval tube fits these boxes nice. The benefit is to label the box with the same label as the lip product, keep tabs on inventory, and very mobile to load and carry to the farmer's market every Saturday. The boxes stay nice for the whole market season, and I replace them once a year. COMMENTS: Lip balm has consistently accounted for 15-20% of my sales at craft shows when using these boxes. I recently made the very unfortunate mistake of investing in an expensive wooden display that stacks the tubes in a column, and my lip balm sales plummeted. After three shows of selling one measly tube per show, I went back to these boxes and my sales improved immediately. If you have nice looking labels, these boxes will help sell your lip balm too. COMMENTS: This box is perfect for the those who dabble in lipbalms. It doesn't hold many tubes, but for the price you can afford to have a really professional looking display. I used a 1.67 round label(probably fit up to a 2 inches) in the cirlce top-perfect for product descriptions or your logo. Easy to put together and sturdy. I highly recommend it if you sell lip balms in .15 tubes. "Could these be printed on if we took them to a professional printer?" Staff Answer They do have a slight gloss to them but you should be able to print on them. We have never tried this. "Will perfume roller bottles fit in these boxes?" Staff Answer No they will not. The roller bottles are much larger than the lip tubes. "If I wanted to put a circular label at the top of the display where there is the half circle cut out, what size would fill in the space significantly? " Staff Answer You could fit a 2" diameter label in this space. "I have been labeling these boxes with separate label paper. I love these boxes, but I ask -- does anyone have theirs printed on for a more professional look, or knows of a source that can print on these?" "If I stand up my lip balms instead of laying them down, how many rows across will fit in the box?" Staff Answer Good question! Using the Round .15oz lip tubes we have, 6 stand across lengthwise and 4 across widthwise = 24 lip tubes. "Do you think this Lip Tube Box is great for inhalers? If so, how many do you think will be able to fir into the display box?" Okay. I did not see any measurements on this Lip Tube box. The ones that will be discontinued soon. I have a product that is 2.5" long by X .5" wide with a 2.25" diameter. Will it fit inside this box? "Is there an insert to hold the lip tubes, or simply a box?" simply a box, when I used these at my last holiday show they held probably 12-15 tubes. I really liked them because I could put each flavor in its own box and didn't take up much space on my table! plus they are easy to travel with because the top folds down and you can close the box! There is no insert, however, the box is the perfect size to fit the round tubes. I use these in my table display and love them. They hold twelve round lip tubes, and the tubes do not roll around or look sloppy. Quite cute. There is not an insert. It is simply a box with a place to place a stick on write on the header price information, etc. I use them to hold my lip balms and they work wonderfully. It is just the box. The tubes lay down in two layers of 6. The arched top can be unfolded to close the box.